A selection of documentaries on comic books, superheroes and their creators. 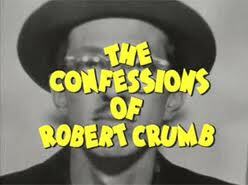 A 55 minute long BBC documentary about Robert Crumb. Interviews with icons in the comic book world. 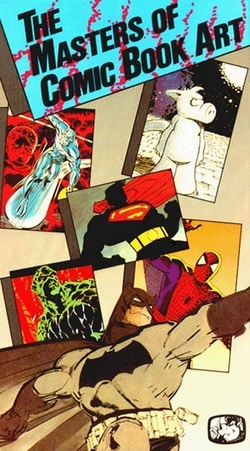 A survey of the history of the comic book medium in the United States from the 1930s to the 1980s, as an art form and in social context. 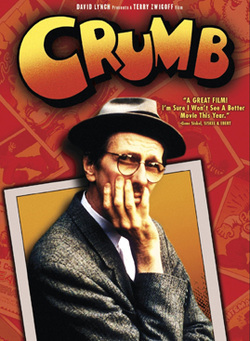 An intimate portrait of the controversial cartoonist and his family, particularly Robert Crumb's brothers Maxon and Charles, his wife and children (his sisters declined to be interviewed). 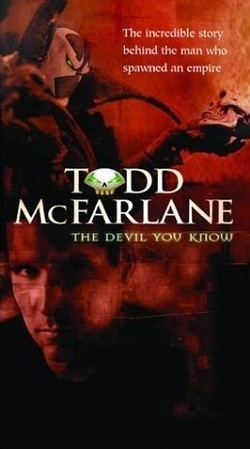 This documentary covers the life and career of comic book creator Todd McFarlane, from his youth where he acquired his artistic skill that allowed him to become a rising star in the comic book field, to working on such characters like The Incredible Hulk and Spider-Man and his equally successful career as one of the heads of Image Comics, which made breakthroughs in creator rights as well as his own success with original characters like Spawn. A documentary about the creation and evolution of comic book superheroes (with a greater leaning towards Marvel comics.). Filmmaker/comic writer Kevin Smith interviews the legendary comic book writer, editor and promoter Stan Lee about his life and work. In two seperate films, "Creating Spider-Man" and "Here Come the Heroes," Stan Lee discusses the creation of his greatest character, his career in the comics field and his relationship to his creative collaborators, especially the artists and co-writers Steve Ditko and Jack Kirby. Documentary with original interviews, giving a good overview of his important place in comic book history. 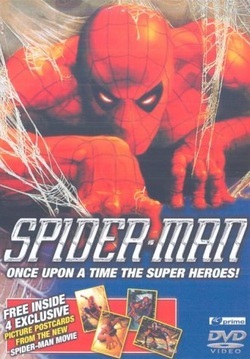 Included on the 'The Fantastic Four' [Extended Cut] DVD. 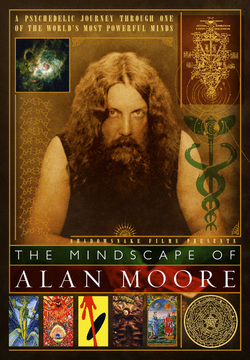 A documentary film which chronicles the life and work of Alan Moore, author of several acclaimed graphic novels, including Batman: The Killing Joke, From Hell, Watchmen and V for Vendetta. Documentary about Frenchman Jean Giraud, one of the most influential comic strip illustrators and authors of all time and also one of the genre's best kept secrets. 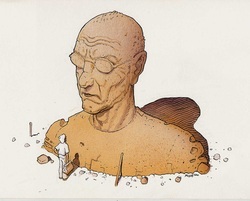 He achieved his greatest fame under the pseudonym/alter ego Moebius, and his artistic influence extends beyond Europe to the USA and Japan. Features interviews with Giraud himself, Marvel Comics legend Stan Lee, American comic book artists Jim Lee and Mike Mignolla and many others. This BBC4 documentary follows Jonathan Ross' attempts to track down comics artist Steve Ditko, best known for Spider-Man, Doctor Strange and Mr. A. 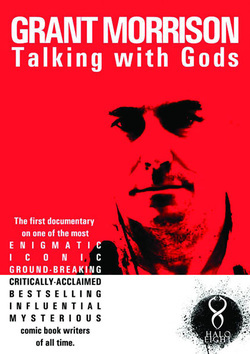 Takes an in depth look at the life, career and mind of the Scottish comic book writer Grant Morrison. Features interviews with Morrison and many of his collaborators, such as artists, editors and other industry professionals. A feature-length documentary that takes an in depth look at the life, career and mind of the British comic book writer Warren Ellis. 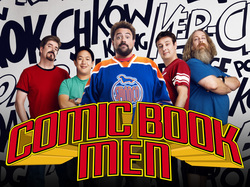 A reality television series set at Kevin Smith's comic book shop Jay & Silent Bob's Secret Stash in Red Bank, New Jersey. 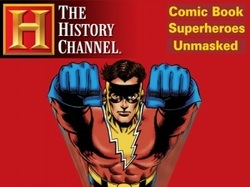 S03E03 of PBS' Pioneers Of Television takes a look at TV's superheroes; from Superman in the 1950s, Batman in the '60s, Wonder Woman and The Incredible Hulk in the '70s, to The Greatest American Hero in the '80s. 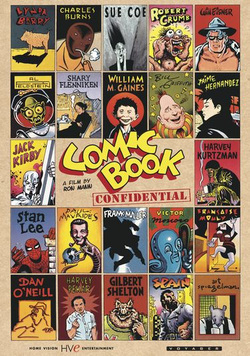 the first documentary to examine the dawn of the comic book genre and its powerful legacy, as well as the evolution of the characters who leapt from the pages over the last 75 years and their ongoing worldwide cultural impact. 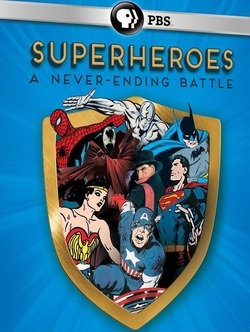 The documentary is broken into three hour-long segments: The genre's origins and Golden Age from 1938 to 1958 in "Truth, Justice and the American Way;" "Great Power, Great Responsibility" covering the dawn of the Silver Age and beyond from 1959 to 1977; and "A Hero Can Be Anyone," looking in part at the impact of movies and TV on the genre from the release of the first "Superman" film in 1978 to the present.